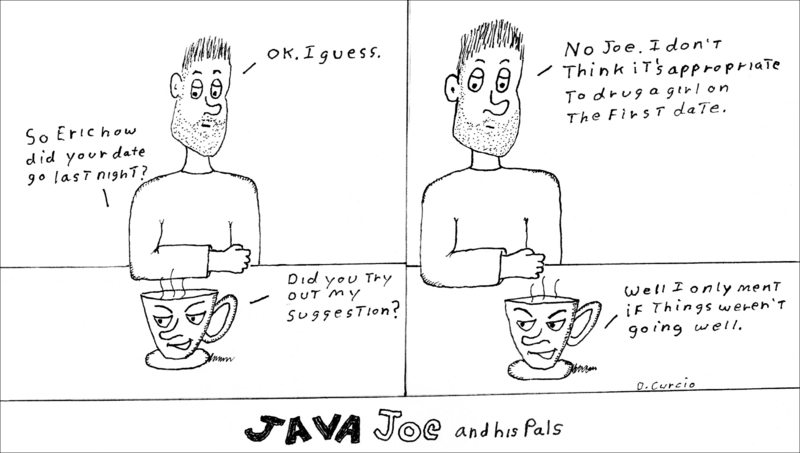 I added a new character to Java Joe. Eric is the owner of the house that Joe and his friends live in. I felt that just having talking coffee cups was a bit limiting, OK, a lot limiting. Anyway I hope you like the change.